The Burma border guard police (BGP) stopped us to go fishing after our villagers denied to participate the population data collecting process which started since last two week, said Amir Hamza, a fisherman from Maung Ni village. The Maungdaw people under municipal are not getting fresh fish from pounds and it cost 700 -900 kyats per kilogram which made people very hard for their survival, Amir Hamza said. Most of the Maungdaw people are eating vegetable and beans; small fish from the stream, Hamza more added. “We are not stop the fishermen to go to the sea, but may be the fishing agent stop the fishermen to go to the sea,” said an officer from Maungdaw, denied to be named. 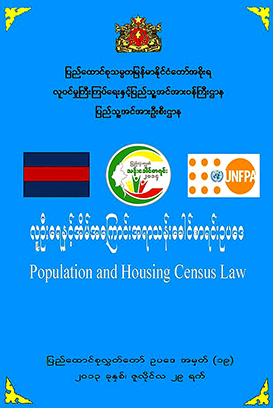 Maungdaw high level officers – BGP director general and its high level officers, Township administration officer, district administration officer and Immigration officers – are trying to convince to accept “Bengali” in the name of “Rohingya” since the government started the census from March 30 –April 10. But the Rohingya community in Maungdaw totally denied to accept the term “Bengali” in their ethnicity. After that, the government extended the date of census for Rohingya till now to collect their data with various methods to convince Rohingya to join the process. Now, the government changes the name of the project as population data collecting process, which mention on the Form headline “Illegal Immigrant of Bengali” but Rohingya community denied again to accept it. Now, the authority are making trouble in their (villagers) livelihood, said Rafique, a school teacher from Maungdaw. 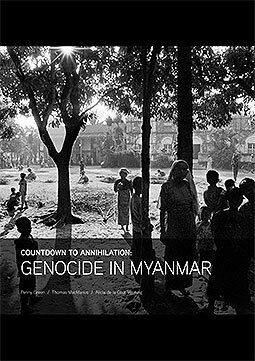 This entry was posted in English, News and tagged Arakan, Maungdaw, Rakhine, Rohingya. Bookmark the permalink.